Ever have a funky smell to your fridge or freezer? Leftovers gone bad? Fruit all squishy? Moldy vegetables? And the smell lingers after the bad food is removed? Yuck! There is a way to get rid of funky smell! Take a carton of baking soda, open it and leave it in the offending location! 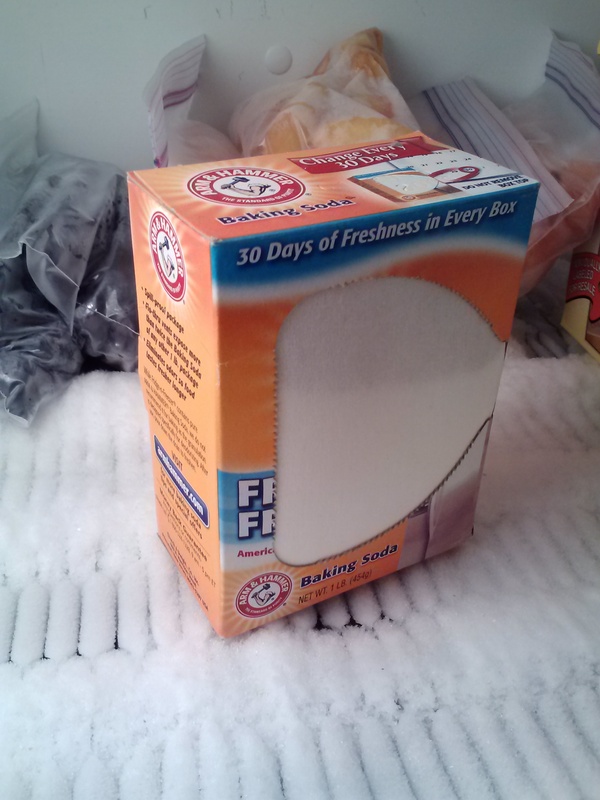 The baking soda will absorb the odoriferous offenders and leave your fridge smelling nice and fresh! Many name brands will have a freezer specific box, where you tear off the sides to let the air pass through and deodorize. While the boxes say to replace every month, I have them last much longer than that. Every now and then I shake the box a little to have the fresh soda exposed. Works like a charm! Baking soda has many great uses. When I moved into a new place, I used it to get rid of the residual smells left by the previous owners. Just sprinkle on the carpet, let it rest for a while, then vacuum it up!